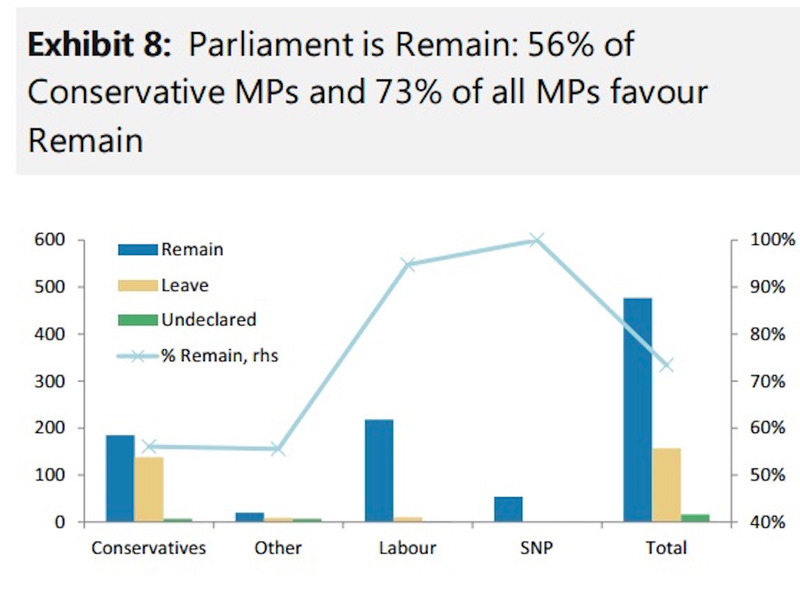 Britain’s parliament will not block a Brexit, even though it technically could, says Morgan Stanley in a new note. “Constitutionally, the UK parliament is sovereign, so the outcome of the referendum is technically advisory, which implies that it would be constitutionally possible for parliament to ignore or frustrate a vote to leave. 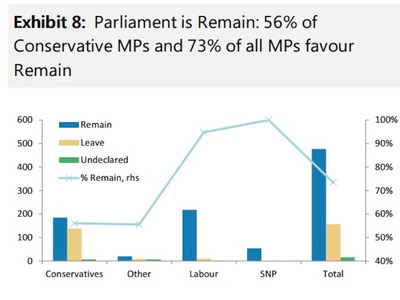 Moreover, there is a strong majority of MPs who support Remain,” says Jacob Nell and Melanie Baker at Morgan Stanley. However, none of this matters.